The Charleston medical community includes one of the most dedicated groups of healthcare providers in the country. In fact, the Charleston County Medical Society (CCMS), which was founded in 1951, is a lineal descendant of the first medical society in the state, established in Charleston in 1789. Charleston was settled by English colonists in 1670 and subsequently grew from a bustling colonial seaport to a wealthy city inhabited by a diverse population by the mid-18th century. Charleston’s economy continued to prosper through the 19th century due to its busy seaport and the cultivation of cotton, rice and indigo. 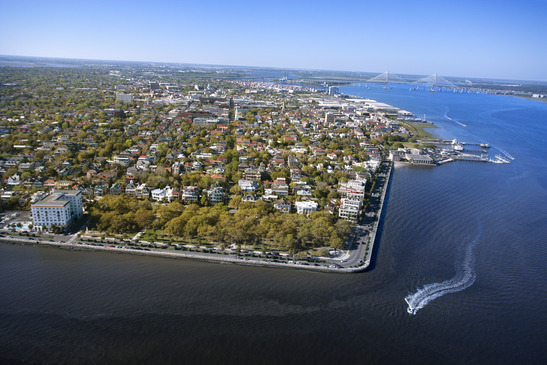 Today, the tourist industry serves as one of the major draws of the South Carolina port city, as more than 4.5 million people visit Charleston every year. Tourists alone generate approximately $3.22 billion to the local economy. Additionally, a plethora of walk-in clinics, radiography centers and dental groups populate this city of more than 380,000. The Charleston medical community is known for bringing in “medical tourists” — those who visit to have a procedure done — because not only will they receive top-notch care, but the city is such a pleasant place in which to recuperate after a bypass operation or back surgery. The Southeastern Spine Institute does its share of promoting medical tourism, as its patients come from all over the South. Its expansive campus provides patients with every type of healthcare provider necessary to diagnose, treat and rehab spine health issues. The facility is a boon to the area. Accredited by the Accreditation Association for Ambulatory Health Care, SSI is a Food and Drug Administration test site for new devices and the latest procedures in spinal surgery. SSI also assists in the training of medical and nursing students from the Medical University of South Carolina, where SSI back surgeon Dr. Donald R. Johnson currently serves on the University’s Board of Trustees and is its former chairman. Don’t be left out in the cold; find out why the Southeastern Spine Institute and Charleston medical facilities are the best in the South.